Customer Service eLearning & Onsite Training Customized Engaging Customer Service Training Fiercely Focus on Someone Today. What You See Might Surprise You. Fiercely Focus on Someone Today. What You See Might Surprise You. After a wonderful dinner at my parents’ house on Easter Sunday, I went for a solo walk in my mother’s garden. When I spotted my mother’s patch of white tulips, I ran to my car and grabbed my camera. The chorus of white tulips was beautiful. But I decided I could get a more dramatic shot by focusing on a single tulip and blurring everything else out. I loved the way the shot turned out. 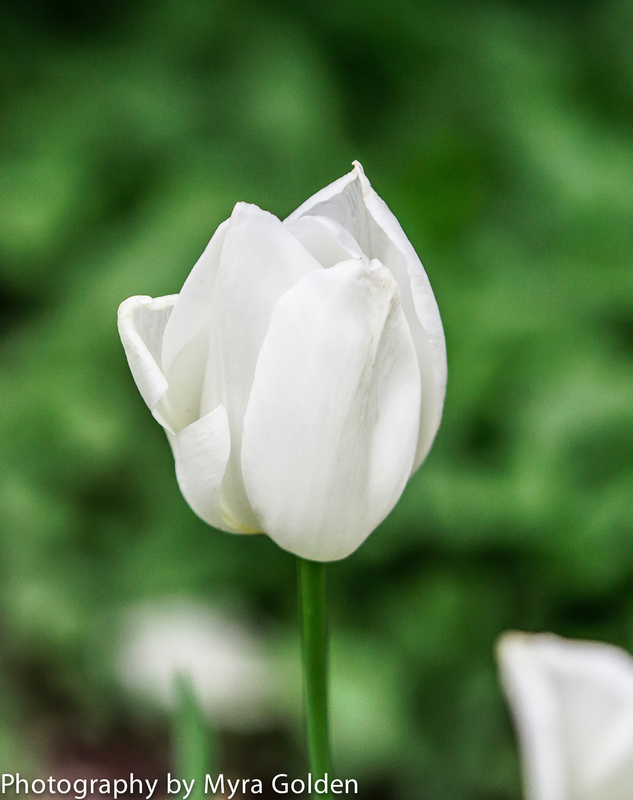 The white tulip, while beginning to wilt, looks stately and royal and it truly stands out. In the patch with the other white tulips, it just blended in. My fierce focus on that one white tulip magnified its beauty and makes it look almost majestic. When we have the vision and discipline to fiercely focus on a single thing, everything else fades into the background. Fierce focus allows us to see the beauty in a thing and to magnify the best of the thing. It’s funny how it works, but intense focus on a single thing seems to make flaws and imperfections fade away. All our eyes seem to see is beauty and perfection. When I focused on the single white tulip, the weeds and wilting petals of other tulips disappeared. You simply see beauty in the white tulip that I zeroed in on. Today I challenge you to take someone out of the crowded “patch.” Fiercely focus on that one person. See the beauty, gifts and magnificence of your child, spouse, employee, co-worker or boss. Blur out past conflicts, imperfections and personal differences. You focus by being fully present in the moment, withholding judgment and by believing the very best of the person. Focus solely on the person and I promise you, you will see their beauty in an entirely new and enchanting way.